We will be CLOSED April 21st for Easter Sunday. 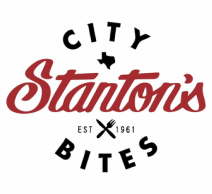 ​Established in 1961, Stanton's City Bites started as a family-run grocery store which has evolved into a restaurant that serves unique, made-to-order burgers. Mr. Stanton raised his family on the 2nd floor of the establishment and his children were frequently seen helping out their father. After Mr. Stanton's oldest son, Arthur, married Hong Kong-native, Theresa, they developed the homestyle flavor that continues to be served today. Come and try one of Houston's best burgers! Located just north of Downtown or south of the Heights! "Our reputation is in every bite!"